Michael Parks, a truly legendary actor and a staple in genre fare, has passed away. He was 77 years old. While his cause of death has not yet been confirmed, Parks's death was reported by frequent collaborator Kevin Smith. The two worked together on Smith's recent films Tusk and Red State. Along with Smith, Parks was a staple in films from Robert Rodriguez and Quentin Tarantino. His character Texas Ranger Earl McGraw first appeared in From Dusk Till Dawn, then resurfaced in the Kill Bill movies and the Grindhouse movies Planet Terror and Death Proof. 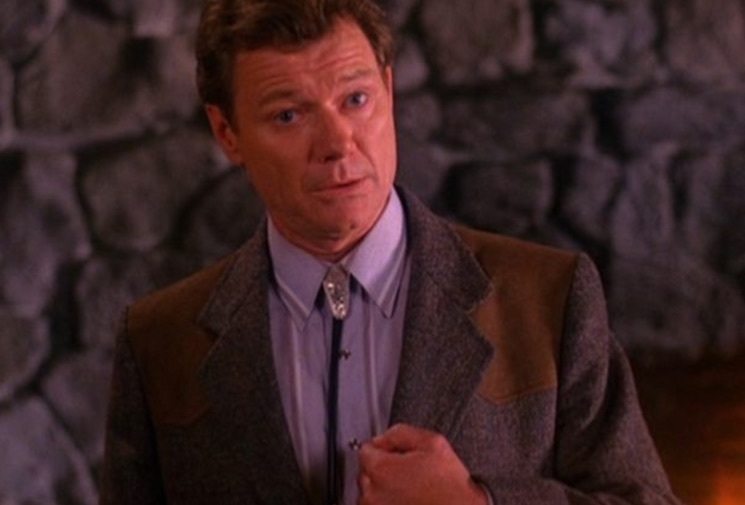 As if that weren't enough, Parks also played the role of Jean Renault in Twin Peaks (pictured above). Other roles included Dial M for Murder, Between Friends, The Assassination of Jesse James by the Coward Robert Ford, Argo and We Are What We Are.